On Sunday I took a few moments to share our 2019 Missions Giving Plan with you. Living generous lives doesn't happen by accident. It happens when we are intentional with our resources, making everything available to God to use for His kingdom. It happens when we think of everything we have in this life as a gift to steward and we recognize who the true Owner is. This is true of all of our resources: our time, our talent and our finances. Rob and I invite you to join our family as we make a financial plan for this coming year that demonstrates our commitment to stewarding our resources and stretches our faith in new ways. We continue to set aside our tithe first and ask God to show us how else we can support mission and ministry sacrificially. I'm not just giving lip service when I tell you that we love to do this because of the freedom and blessing we find in generosity. We want to grow in this area of discipleship and we encourage you to make this a part of what's next for you, too! The button below will take you the plan for our church's plan to give to missions this year. If you weren't here on Sunday go ahead and click on that so you can join us in giving over and above this year. Join us on Sunday at 10am as Pastor Del concludes our series. All this month we've been asking the question, "What's next?" The truth is that nothing in your life stays the same for very long. Even if we feel like we're in a rut of some kind there are still things changing all around you, one season moving into the next. We see in scripture that this truth applies to our choice to be a follower of Jesus as well. There is no instruction in the Bible to have faith in Christ and then check that off of your life goals list. There is a constant calling to grow and be challenged, to study and learn, and to step forward day by day as a fully devoted disciple. As we've been considering this we want to follow it up with the most practical next steps that we can think of. When you're ready to take on something new and go deeper in your spiritual life and your knowledge of God, how do you choose from the ocean of content that is available these days? That's the question we want to help to answer. Check it out! We're only just getting started and there are already lots of options for you. Next month we will be launching our first ever video/podcast course that will be accessible to you from wherever you have an internet connection. And, there is lots more on the horizon. 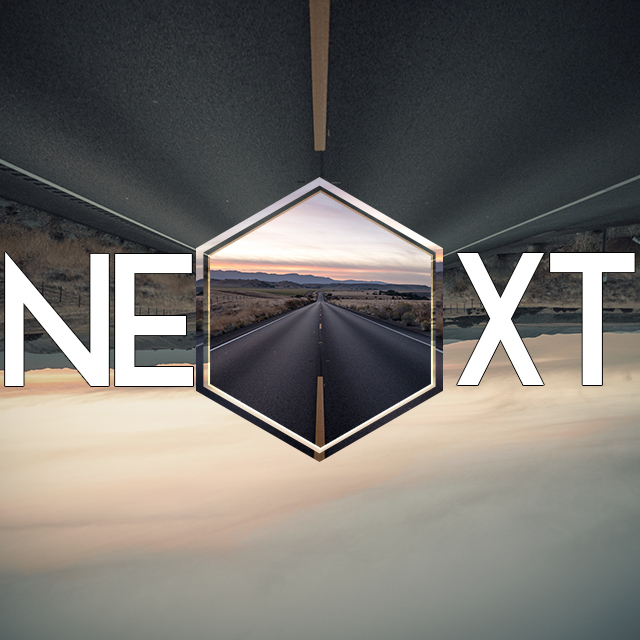 Our intent is that tomorrow, a month from now, a year from now and beyond, you can just keep coming back to NEXT and literally find something to help you with what's next on your personal discipleship journey. Oh, and by the way, if you have ideas for content or topics that would help you take your next steps as a follower of Jesus, I would LOVE to hear them. Find me here. As I mentioned on Sunday, everything we do here at Freedom has to line up with our core values. If we have it on the calendar then it should be obvious how it helps us to connect, train or impact. Along with that we are working to give each of you more options in each of these categories that don't add more programs but do equip each disciple in their next stage of growth. What's changing is your options. Instead of every group doing studying the same content and asking the same questions, you have the opportunity to choose a group that best answers the question: What's next on your discipleship journey? NOTE: This course will also be offered online via video teaching beginning in February. Is it just me or is that VERY exciting? I can't wait to get started. It's a new year with a chance for a new focus and a fresh challenge. Will you join us? During our 5th Sunday service at the end of September I shared our vision and core values with you. This is an exciting time to be serving this church - some days I can hardly believe how amazing our opportunities are. If you weren't able to be with us on September 30th, here is a link to the message. Without these elements you'll find your discipleship unbalanced. But when you engage with God, go deeper in your knowledge of Him and His Word and let that spill out into your daily mission field, you are on the path to daily transformation in Christ. That's where I want to be! We know there are lots of ways for you to engage in these core values. We want you to know that we are committed to providing you meaningful opportunities to engage in each of these spheres in growing and challenging ways. In case you didn't get a chance to browse through our ministry fair, we've made all of the information available on our website. (See the button below.) You'll notice that the contact information for each opportunity to connect, train or impact is on the bottom of the card so feel free to send the ministry leader an email and ask any questions you might have. However you're doing it, whether inside or outside if the scope of Freedom Church, we are all excited to be a part of your discipleship journey as you connect, train and impact. The church is not this building or these programs, it's the people who join together to follow Christ with their whole lives as a local expression of His body. If you're reading this as part of Freedom church - we're glad you're a part of this family. If you're not, let me encourage you to engage in these core values wherever you are! WHAT DOES JESUS SAY ABOUT...? Join us on Sunday at 10am as Pastor Tracy continues our fall series.